Denmark is one of the countries in the forefront when it comes to district heating. However, a lot of it is at present derived from burning less-green things such as rubbish. But there is a source of heat available that is completely green – if you are prepared to go down far enough to find it – and that is naturally-hot water. Geothermal heating, as the system is called, works by sinking pipes vertically down into the underground geology and pumping up the warm water. At around a depth of 1 km the water temperature is about 40 degrees and if you go down as far as 3 km, it reaches 90 degrees. AP Møller Holdings, an investment subsidiary of the AP Møller Group, is determined to harness this energy and sell it on the Danish market, reports DR Nyheder. The company has announced a two-figure billion kroner investment package to set up geothermal systems all over Denmark, starting with Aarhus, Aalborg, Copenhagen and north Zealand. At the moment, it is estimated that geothermal heating comprises only 0.1 percent of the district heating used in Denmark, so there is plenty of scope. “We have great expectations. The Danish underground geology supports geothermal heating and the district heating network is large,” said Samir Abboud, administrative director of the AP Møller Holdings geothermal company that is yet to be named. The company will build and run the systems as well as selling the hot water from the borings. 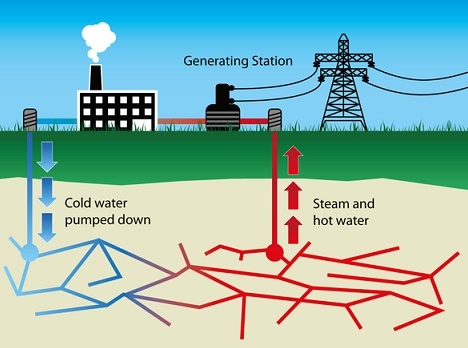 The potential for utilising geothermal heating has been known about for a while but is yet to be capitalised on. Back in 2007, a number of district heating companies told DR Nyheder that it was not profitable to establish a business model because Dong Energy had sole rights to Denmark’s geothermal energy resources. That has now changed and energy minister Hans Christian Lilleholt has been in dialogue with AP Møller Holdings. “It is vital that we ensure that there is the right infrastructure. We’re going to have a dialogue about that because there is great potential in brining up hot water and using it in district heating,” said Lilleholt.